Feast with Friends is the Stoke-on-Trent based chef teaching young and old to pay attention to eating well. Cooking has always been a passion of Chris Cohen, the chef behind Feast with Friends. Now in his 40s, Chris worked weekends in his mum’s catering business as a teen and wanted to pursue a career in the kitchen on leaving school. His own experience in the education system has influenced the path of Chris’ development as a chef and as an educator – with a degree in architectural design. Over the last year Chris has found a way to unite his love of cooking with a desire to teach, under the Feast with Friends banner. He works both as a private chef, creating dining experiences for people in their own homes, as well as teaching classes and workshops for people of all ages in schools, colleges and workplaces across the county. In the future, Chris has a longstanding ambition to set up a means of educating and training aspiring young chefs in the Stoke-on-Trent area. He sees this as creating a pipeline for the expansion of the independent dining sector in the city, as well as providing opportunities for its young people. In the meantime, much of Chris’ day to day work centres around the Well Fed Initiative. 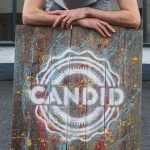 Aimed at educating people of all ages about nutrition and eating well, the initiative provides tailored courses for everyone from small children to university students, with the option of curriculum-focused content. Chris developed the principles of his specialised food workshops based on health service guidelines, to the extent that he has permission to use the NHS logo on the Well Fed Initiative. Part of the joy of food is the idea that it is an exploration of different tastes, textures and aromas – an idea that Chris believes should not be reserved for fine dining restaurants. Indeed, he’s trying to instil this way of thinking into even the youngest children through his classes, seminars and parties. Doing things differently in this context will often include trying out mindfulness, which Chris introduces using the ‘raisin test’. “We take any ingredient, usually fruit or veg, and they put it in their hand and look at it,” Chris explains. “It’s getting to know it, looking at the way the light shines on it, giving it a sniff, pulling it apart so you can really smell it, and putting it on your tongue but not eating it straight away. Then we’ll talk about how that’s where digestion starts. It’s all too easy to be distracted by screens these days, or just the rush of work and family life, but actively paying attention – not only to what we put into our body but how our body reacts to it – can help in more ways than one. Chris is fascinated by ongoing research into the gut microbiome and digestive health, and particularly its influence on good mental and overall health. You can find Chris’ recipe for cured mackerel with carrot purée, pickled carrots and wasabi avocado in Sauce Spring 2019. With fantastic views over Milford Common and Cannock Chase, just a few hundred yards from the River Sow and the Staffordshire and Worcestershire Canal, The Viceroy is something of a hidden gem. It’s in this village just outside Stafford that chef-director Ain Ullah and his brother Rushan, who heads up front of house operations, are advocating a fresh approach to Indian gastronomy. 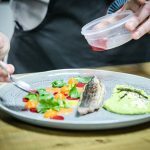 Their aim is to deliver culinary experiences of the highest quality to truly reflect the region’s rich natural larder, challenging perceptions around Indian and Bangladeshi cuisine in the heart of Staffordshire. After this, Ain moved down to London and started cooking with celebrity chef Atul Kochhar at Benares in Mayfair. 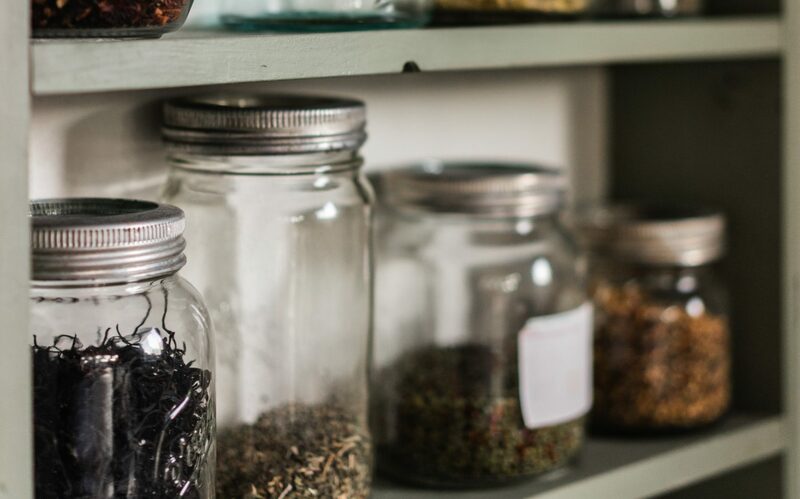 With this experience under his belt, he went on to establish his own restaurant in Derby, where he found the freedom to start experimenting with different flavours and making his own spice blends. The Viceroy was added to his portfolio back in 2014. It’s for this reason that you won’t catch Ain adding spinach to your korma, for example, or serving up bright red tikka masala. Educating customers about traditional and contemporary Indian cuisine and how it differs from typical curry house dishes here in the UK is part of the mission. There’s a real focus at The Viceroy on using local suppliers to source local produce wherever possible. And rather than keeping stock in the freezer, the restaurant gets daily deliveries of fresh ingredients. Another key element in The Viceroy’s unique offering is the attention to detail when it comes to customer service. “We’ve trained our waiters to be able to advise customers based on their likes and dislikes,” says Rushan. “Some people have a very strong idea of what they want and what tastes they like. Although our dishes are different to others’ we have flavours that will appeal to every different customer. The drinks menu has not been neglected either. While gin – paired with complementary mixers – and beer are on offer, wine is the drink of choice to go alongside your meal. Although you may not find familiar names from the retail racks in their cellar, the knowledgeable front of house team can always make a recommendation from the extensive list. If you’re visiting Shugborough or the Chase this autumn and winter, you could do much worse than stop by The Viceroy to sample their delicious fusion of English ingredients and Indian spices. The brothers are not short on recommendations from the menu. The addition of saffron to the rice, which is not common practice due to the expense, produces a special flavour to complement the various dishes, but often the rice will be tailored to complement a specific main. For example, the halibut is best accompanied by a lemon chilli rice, because lemon goes so well with fish. Plans for the immediate future include an extension with 16 VIP seats, along the lines of a chef’s table experience. There will be an exclusive tasting menu and a butler service available in this private dining space. Customer satisfaction is always the number one priority, and the long term goal is to be the best Indian restaurant in Staffordshire. If you would like to sample Ain’s dishes for yourself, Viceroy is open 5:30pm until 11:00pm, seven days a week. At the age of just 22, Louisa Ellis impressed the nation when she reached the finals of MasterChef UK in 2017. Sauce caught up with Louisa for the Autumn/Winter 2018 edition of the magazine. The eldest of four siblings, Louisa’s passion for food was sparked by cooking for her parents, brothers and sister when she was younger. While studying for her Catering NVQ Levels 1 and 2 at college, Louisa landed a job at a hotel in Luton, where she grew up. To start with it was front of house work, but a full time opportunity came up in the kitchen when Louisa left college, so she stayed until the hotel went into administration and all of the staff were made redundant. When the head chef Louisa was working with moved to another, more ambitious, two rosette hotel restaurant in Sutton Coldfield he offered her a job on his team. It was at this stage Louisa decided her heart was set on working in a Michelin starred restaurant where she could apply her attention to detail while not having to worry about room service orders. “From there I went on to do a year at Adam’s Restaurant in Birmingham. I’d been there for a meal and really, really enjoyed it. His food blew me away. I wanted to be able to cook that food, so I applied for a job there. However, the long hours left Louisa with little spare time to push herself and pursue other avenues such as entering into competitions. After another move, to The Wilderness in Birmingham, she found a bit more flexibility and a better balance. Although none of it was easy, this was probably the most nerve-racking part of the whole competition. Louisa recalls walking into the huge room where the judges were standing surrounded by the TV production crew. To find out more about the private dining experiences Louisa offers, take a look at her website or follow her on social media. To read our interview with Louisa in full, pick up your copy of Sauce from one of our stockists. Wednesday 25 July saw the launch of a new menu at The Viceroy Restaurant in Milford, on the edge of Cannock Chase, and Sauce were lucky enough to be invited along. At this fine dining Indian restaurant near Stafford chef-director Ain Ullah creates imaginative dishes using the finest local produce, with reference to a rich Indian and Bangladeshi culinary heritage. A six-course taster menu allowed guests to savour the flavours of a number of dishes from the new selection, all cooked to order using seasonal, locally sourced fresh ingredients. Proceeds from the night were generously donated to Katharine House Hospice. House of Townend, the Yorkshire-based family-owned wine merchants, have hand selected the finest wines from across the world to complement each dish on The Viceroy’s new menu, and there’s also a comprehensive gin menu for pre-dinner drinks. The launch of the new menu is the first step in an exciting new era for The Viceroy, where the team is hoping to be awarded an AA Rosette and to feature in the 2019 Michelin Guide. In order to meet the exacting standards of the AA, the management have invested in a new state of the art Unox Oven and new crockery and cutlery, the like of which is found in Michelin starred restaurants across the world, from Schott Zwiesel wine glasses to Fortessa tableware. There are also plans afoot to build a 20-cover private dining room to the rear of the restaurant. This room, featuring a wall of handpicked wines from around the globe, will allow guests to book a taster menu dinner attended by their own personal butler. As well, The Viceroy plans to hold exclusive cookery demonstrations with chef-director Ullah. 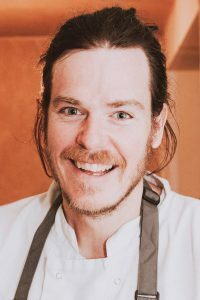 Jake Lowndes, 29, is head chef at Little Seeds in Stone, which he co-owns with restaurant manager and partner Sophie Hardman. 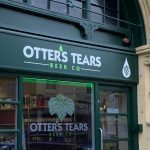 The pair launched their bar and kitchen on Radford Street in June 2016 and have gone from strength to strength since, building a reputation for fresh, local food at reasonable prices. Sauce sat down with Jake to find out about the ethos (and the garden) behind Little Seeds, as well as their plans for the future. His favourite food might surprise you, too. When and why did you decide to become a chef? My first job was at La Dolce Vita in Stone. I started as an apprentice and did my NVQ Levels 2 and 3 on the job. They put me in for Staffordshire Young Chef of the Year in 2008. I ended up coming third. Before then, I didn’t really know much about the world of high-end cookery, so it opened my eyes. I was there for two years and worked my way up to sous chef. I left to do a ski season in France, which was fun, then came back to David’s Brasserie at Trentham for five years. In the last two years I was finishing my degree in Business at MMU. I left and went to Macclesfield, to a three rosette restaurant then called The Lord Clyde, under Ernst Van Zyl. I learned a lot from him about techniques and flavours. From there, it was Little Seeds. Who has inspired and influenced you most in your cooking? I’d say it was a combination of all the people I’ve worked for, to be honest. I’ve taken the best of everything I’ve learned and put it all together. Ernst taught me a lot of new techniques, because he’s quite a modern chef. He likes the Scandinavian style so he taught me a lot of pickling, salt-baking – those old techniques that are coming back. From other chefs I’ve learned management style, organisation and how to run a kitchen. Where has been your favourite place to work so far? I’d say David’s Brasserie. It was a nice place to work and everyone there was really nice. The now-owner, then-manager, John is a good guy. He was flexible with me, because I was working full-time while I was at uni. But everywhere I’ve worked has been pretty good. Tell us about your food philosophy. As seasonal as possible, to sum it up. We change the menu with the season, and we use local suppliers. We try to get the highest quality local product we can, because it all starts with the product. From the eggs we get down the road for our brunch menu, to the quality of the meat from our local catering butcher, it is really important. Our philosophy is high-quality local ingredients, as seasonal as possible, and mainly British, where we can. Tell us about your restaurant, Little Seeds. We’ve evolved organically since we opened. We opened with a more casual style and a narrower offering. Now we’ve evolved to reflect what our customers want at different times of the day and the week. So we’ve got a full brunch menu at the weekend, which people really love. We have a daytime brunch/lunch menu for Wednesday to Saturday. Our new weekday evening menus are more focused and balanced, to allow us to provide high-end, special occasion dishes as well as casual favourites like the buttermilk chicken and burgers. Every week we write the Sunday lunch menu on Saturday night. You can come all week for the combinations on the menu, but Sunday lunch changes everything up. There’s always a roast on there – usually beef – but suppliers are tricky on a Sunday, so it allows us to offer the best of what we have. Trying out different combinations helps us to make new dishes too. What would you want your last meal to be? I’d really like to go to the Fat Duck. That’s my number one. I always go on about that. If you had to live on one food forever, what would it be? Just trifle. Trifle’s my favourite thing in the world. A Bird’s trifle, I’ll eat that. What’s your favourite seasonal ingredient in spring/summer? I love it when the Staffordshire strawberries come out, because we try to create something new with them every year. Last year it was a strawberry and elderflower jelly – because elderflower is in season at the same time – a strawberry meringue and strawberry sorbet. We get our strawberries from Canalside Farm in Great Haywood – you can pick your own and they’re really good. The wild garlic as well. When the wild garlic comes out everybody gets excited because it’s the start of spring. Probably something fermented. At Carters of Moseley I had raw kohlrabi injected with cabbage juice. That was pretty weird. The main course was lamb with grass. Do you get the chance to eat out often? Where’s your go-to place? We like the Sticky Walnut in Chester. 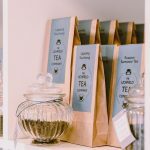 We go there whenever we can because it’s really casual and relaxed but with high quality food – the same thing we’re trying to do at Little Seeds. Maybe a roast dinner. We eat that most weeks. What is your focus for the next year? To continually evolve Little Seeds in the direction we’re going now. Every service is a lot more refined and focused. Now we need to keep pushing forward and bringing the standard of food up. Last year we started making a sourdough; this year we’re making focaccia as well. We keep evolving the desserts, too. Since the back end of last year we’re getting busier and busier, and that’s the main thing. I could do stupidly good things that people don’t want to eat and nobody will come – then it’s not fun anymore. Hopefully we’ll keep evolving with our customers, the menu and the team so everyone’s going in the same direction. We want to double the size of our kitchen garden. Last year we started with some raised beds where we mainly grew herbs. This year I want to build a caterpillar tunnel so we can grow more. We grew lemon verbena and apple marigold that you can’t get from local suppliers. I want to do more of that but with different ingredients, like radishes and tomatoes. We’re also planning a couple of fun theme nights – maybe a French and a Spanish night. Little Seeds is British and that is great, but sometimes you want to mix it up a bit. What are your longer term goals? We want to get this one right and running smoothly first, with the customer base at a level that’s sustainable – knowing it’s going to be busy week on week. Then who knows what we could do? Opportunities could come up. We’ve got concepts. We think Stone needs a great hotel. So many people come here for weddings, events and business; there are lots of decent bars and restaurants in the town but limited places to stay. We also want to start working with schools to encourage people to be chefs and come into our industry. We would like to do an open evening for Year 11 students and their parents to give them a taster of what we do. It’s not like Ramsay where we shout at you. It can be a rewarding career if you can get over the unsociable hours. Our weekends are Monday and Tuesday instead of Saturday and Sunday. The most annoying thing is all the restaurants we want to visit are closed!